Why does the underside of your vinyl decking matter?  You may not see it, but the back of your vinyl decking can make a big difference in the quality of your sundeck. 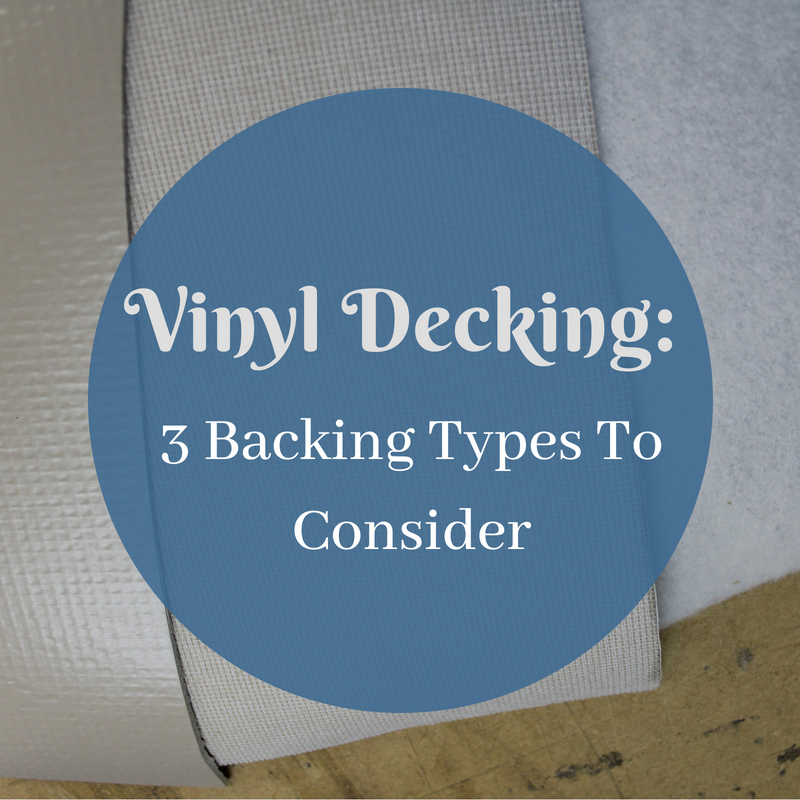 Each of the three vinyl backing types have pros and cons to consider. Also known as ‘unwoven’ or ‘random polyester,’ this backing resembles a felt material. 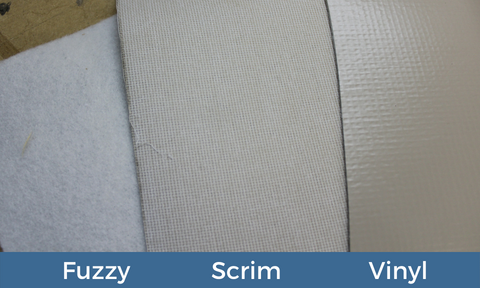 The fuzzy fabric is designed to hold adhesive well and reduce stretching or distorting during installation. This variety of vinyl tends to be the least expensive and most widely available. Because there is no lattice reinforcement like the other two types of vinyls, this material is highly flexible and very easy to work with when completing perimeter details. The propensity for this vinyl backing to hold glue means that there is a tendency for installers to apply excessive adhesive. This can result in temporary bubbling after application. Also, when a water leak occurs, this same fuzzy feature can cause water to wick along the fibers and exacerbate rot issues. To achieve a water-tight seam, the fuzzy backing must be burnt off or “buzzed” before a vinyl-to-vinyl weld can be achieved. Because of this additional step, inexperienced installers are more likely to have failed seams. To avoid complications, this type of vinyl is specified less often by builders. Because of its desirability and additional manufacturing requirements, this vinyl is often more expensive. Additionally, the adhesive that is required (nitrile-based) is harder to work with. It requires a high level of accuracy when applying it and can result in material wastage for inexperienced installers. This adhesive is also expensive and may require a mask, due to high solvent content. Also known as a woven back vinyl deck material, Duradek created this type of vinyl to combat the risks and maintain the advantages of the previous two backing types. With a polyester lattice on the exterior, in place of the fuzzy fabric, this type of backing holds glue better than a vinyl backing and is more resistant to moisture-wicking than fuzzy backing. There’s no need to remove this woven backing to achieve a secure heat weld and it’s less common to over apply adhesive. This scrim-backed vinyl is much more forgiving to installers. If the weld area is compromised by adhesive, the scrim can be easily removed and the material doesn’t need to be thrown away. The scrim can also be easily removed for difficult details to increase flexibility. While you can weld with the scrim backing on, nothing beats the ease of welding the vinyl-backed variety. Also, while the non-woven fabric doesn’t wick moisture like the fuzzy back variety, there can be some degree of moisture creep when a leak occurs. Unlike the other two backing types, this innovative vinyl is only sold to trained installers. For that reason, and because of the high quality, scrim-backed vinyl decks tend to be highly reliable. Which vinyl backing is best? While every vinyl deck will have a backing type with unique benefits and risks, hiring a good contractor is the best choice you can make. An experienced vinyl decking installer can work with any of the above backing types to create a beautiful, reliable, waterproof vinyl deck. For a free quote on your vinyl deck installation, fill out the form below or call 604-786-3325 today!